As an NYC foodie, I’m constantly searching for the most Instagrammable dining spots, whether it’s because of the outdoor views or the indoor ambiance. I put together10 of my top Instagram worthy restaurants (in no particular order) that will make for the ultimate #feedgoals. This all pink restaurant is something straight out of Barbie’s world. Delicious Italian cuisine aside, it has pink napkins, pink merchandise, a mural made out of pink hearts outside of the restaurant, and even pink wallpaper that says “Love Me” inside of the bathroom! Forget about dreaming in black and white--this restaurant will have your dreaming in pink for days. It’s Christmas year-round at this First Avenue restaurant where string lights and red walls/banquets make for a festive pic on your feed. Dig into the sharable plates of spicy Indian food while you snap your perfect shot. 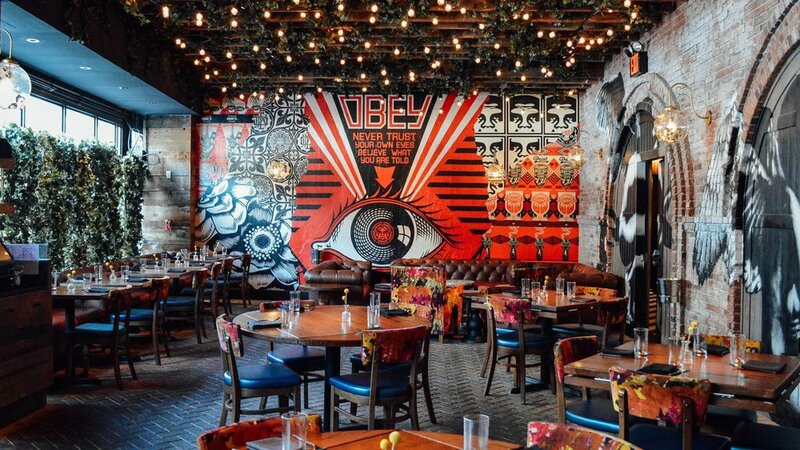 Located downtown on Bowery Street, this restaurant is filled with sculptures and wallpapers that will have you running around the restaurant taking pictures before you sit down to eat your meal! My favorite spot to grab some snaps is in front of the upside down purple bunny sculpture at the front entrance, and on the black and white graffiti staircase. But when you do get a chance to sit down, make sure to try the S’mores with graham cracker ice cream for dessert. This restaurant is known as a “revolving rooftop eatery!” That’s right: while you eat, the two-level space located on the 47th and 48th floors of the Marriott Marquis Hotel actually slowly rotates so you can take in different views of the city. So while you’re scarfing down your delectable Atlantic Salmon or NY Premium Strip Steak, make sure to take some stunning pictures in front of the variety of panoramic views. Located on top of the Museum of Arts and Design, this artsy spot has a lovely colorful interior, not to mention, stunning views of the famous Columbus Circle. Make sure to arrive in an equally vibrant outfit in order to match the restaurant’s vibe and get the perfect Instagram shot. This Upper East Side restaurant will give you serious retro vibes. 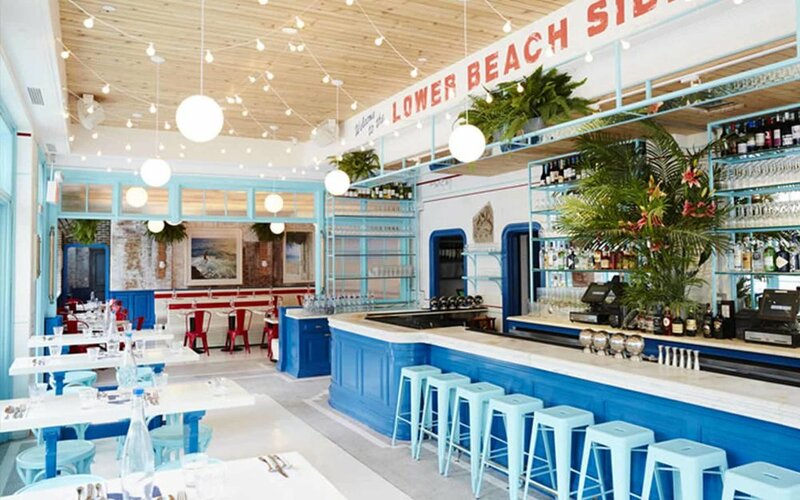 With locations on the Upper and Lower East Side, its bright, colorful interior--featuring white-washed walls, bright red accents, and vintage surfboards--will make you feel like you are taking a quick break after a swim in the Florida Keys, even if it’s Winter time! The outside of the Upper East Side location also has an incredible mural with the silhouette of a man riding an old fashioned bicycle that is totally Instagram worthy. 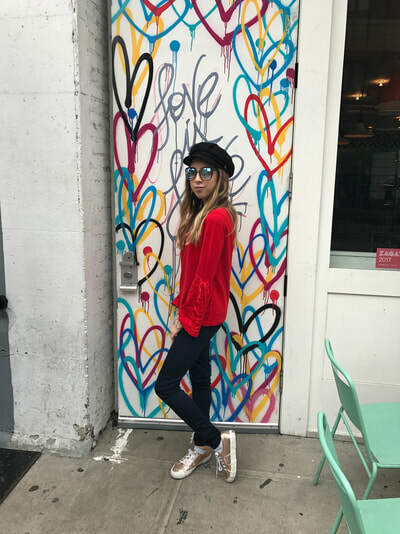 Situated in Soho (convenient for great shopping!) head on over to this restaurant and dine among an array of leafy greens beneath a dramatic glass ceiling. The highlight? 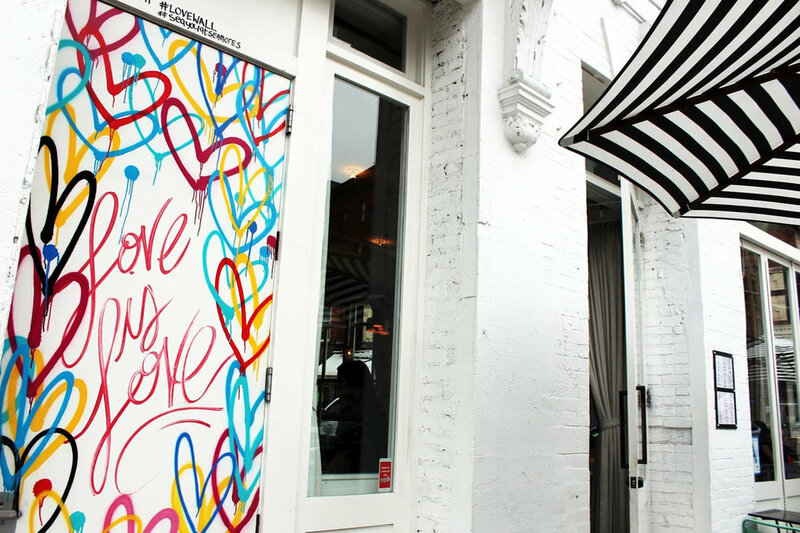 A huge, multicolored graffiti heart wall that boosts your mood instantaneously. This is the perfect dining destination for celebrity and movie enthusiasts: it has costumes and memorabilia from some of your favorite films and Broadway shows. The overall vibe, with planes from different films hanging from the ceiling, is laid back and totally cool. Just make sure to use flash in your pics, since the restaurant is all indoors. This restaurant is a matcha lover’s dream! But besides the delicious matcha beverages and delectable soft serve, the tropical vibes (indoor palm trees?!) 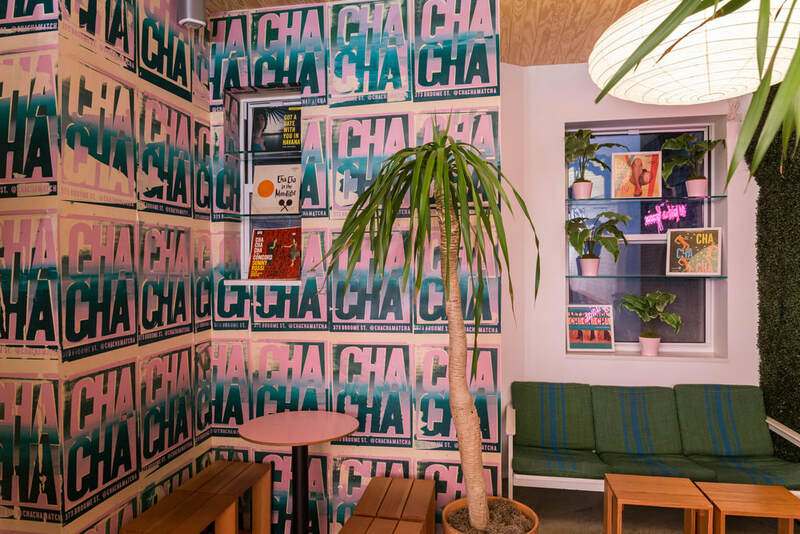 and insane “Cha Cha” mural will transport you right to paradise. With all of these incredible picture spots on your feed, I promise that your likes and comments will be rolling in in no time!